The Himalayan Hope Home in Kathmandu was founded as a place of refuge and support for at-risk girls from underprivileged communities in remote Nepal. Girls who are vulnerable to trafficking and abuse are provided a safe home, parental care, and every opportunity for their holistic development. Thirty orphaned or abandoned girls now enjoy being part of a family, and receive education, proper nutrition, clothing, and health care. At Hope Home, their lives are precious, and so is their childhood. They don’t just dream; they learn how to achieve their dreams. The Himalayan Hope Home believes that every girl is entitled to an education and a voice in the world. And now, through a mentoring project, some of the girls at Hope Home have taken expression a step further, developing their written voice—in English. Their essays about life at Hope Home have been included in The Color of Hope: Abstract Paintings in Acrylic and Collage, a collection partly inspired by artist Margo Miller’s recent experience in Nepal and time spent at Himalayan Hope Home. Over the next few months we’ll be sharing the lives and experiences of some of the resident girls of the Himalayan Hope Home, in their own words. Enjoy the words of Pasang Sherpa below. You can also watch artist Margo Miller read Pasang’s essay at the opening reception of The Color of Hope: Abstract Paintings in Acrylic and Collage in Dallas,Texas in January 2018. Margo Miller reads Pasang Sherpa’s Hope Home essay 1.25.18 from Sally Wier on Vimeo. We girls are very happy in Hope Home. This is our new home where we are getting more love, opportunities, happiness, care, and facilities than in our old homes. I used to get up early in the morning, drink tea, and run to collect grass for the cattle or collect wood for the fire. Now I get up early in the morning, have tea and study. I used to go school sometimes wearing with dirty clothes, here I have clean clothes and regular school. I didn’t know anything about the value of education, now I know very well how important education is for us, and why we have to work hard. I did not have any purpose when I was in my village. I used to live with my grandfather and grandmother. I used to think that I would grow up to have the same life as my grandparents. I even didn’t know that there was another village behind our village. I used to think that our village was the only world. I came to Hope Home and got so much new knowledge. My English was very poor in the beginning, but now people understand what I am saying. I was very shy and nervous before, but my confidence developed after I came to Himalayan Hope Home. I now understand my duties for my society and for this world. I am very thankful to all the people who help make us happy. Official 501(c)3 status Granted to TSW USA! We are so excited to share the news that as of August 29, 2017, The Small World USA is officially a 501(c)3 non-profit! This means we have been approved by the Internal Revenue Service as a tax-exempt, charitable organization. Any donation or contribution you make to TSW USA is tax deductible. We are thrilled to have been granted this status and are excited to move forward to help more girls and communities in Nepal in the coming months! It has been just over two years since two massive 7.8 and 7.3 earthquakes shook Nepal and decimated uncountable homes, schools, businesses, temples, and other buildings. The people of Nepal are strong, both in body and mind, and their resiliency is a critical element in their perseverance over these past two years, riddled with aftershocks. They are slowly beginning to rebuild their lives and their structures, when they have the means, but often they do not. Government support is limited and restricted in many cases, and rebuilding is slow. But the resiliency of these people is still there. We are working with our partnering NGO in Nepal, The Small World, to create the capacity needed for communities, families and schools to rebuild and move forward – with support, shelter, education and the confidence to continue. In the past two years The Small World has worked to build 20 temporary school buildings to shelter over 1,500 students, and 15 permanent classrooms that benefited over 1,000 children. This year The Small World aims to build 10 more permanent earthquake resistant schoolrooms to shelter 500 more students in their pursuit of a life-changing education. As we move ahead into the rest of 2017, The Small World USA is dedicated to supporting these projects and more. Help us to continue to rebuild Nepal and support the empowerment and uplifting of people who need the infrastructure to match their already resilient and uplifted characters. You can make a contribution to this important cause here. The presence of these goals in a sustainable development agenda points to the fact that supporting female equality plays an important role in the environmental field. Recent globally focused work has stressed the deep interconnections and linkages between gender equality and sustainable development. The report Global Gender and Environmental Outlook: The Critical Issues by UNEP explains “it is demonstrably the case that environmental degradation is associated with gender inequalities and…reducing the gender gap can enable progress towards more sustainable development.” One means of reducing this gender gap is providing education for girls and women. When girls have increased participation in school, wide benefits to individuals and societies result. Increasing a girl’s level of education increases the chance that she will marry later, have lower lifetime fertility, have lower infant mortality rates, and also correlates to an increase in wages later in life. The importance of addressing female inequalities through education is particularly important in mountainous regions around the world. “Mountain women’s conditions are made worse by the fragile, harsh environment, and the fact that they belong to already marginalized communities” explains the International Centre for Integrated Mountain Development. Remote and rugged terrain can often make education inaccessible for mountain peoples, and women are more impacted by these geographic challenges due to pre-existing inequalities. “Experiences have shown that gender inequalities obstruct the achievement of sustainable mountain development,” points out ICIMOD. When women are educated, though, it can lead to more equitable use of natural resources, improved water and waste management, and improved conservation practices. Thus, alleviating barriers to girls’ education in rural mountain regions is an important step in fostering gender equality and women’s empowerment which, in turn, influences and supports community-level sustainable mountain development and stewardship of the natural environment. Contribute to sustainable change and donate today. In April and May 2015 massive earthquakes rattled the Himalayan nation of Nepal. Long after the news of these events has passed out of the attention of the media, the people of Nepal continue to rebuild, heal, and work on a daily basis to find ways forward. Many school buildings and classrooms have been destroyed or made unsafe to use due to structural damage. This impact has left 5,000 kids out of school in the Solukhumbu District alone. One million children are out of school across all of Nepal. Without school buildings for classes the future generations of Nepal are being left out in the elements without an opportunity to pursue basic education. 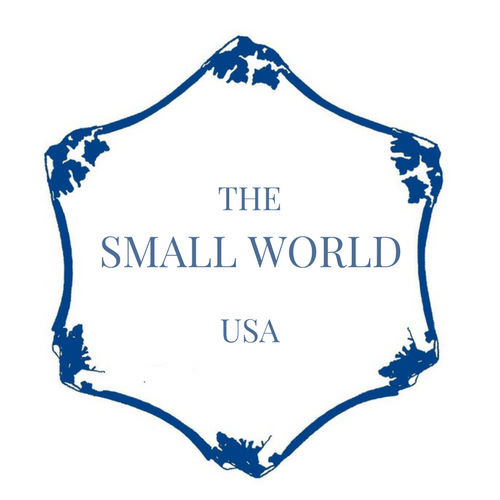 Help The Small World USA to reduce the generational gap in education that could result from this structural dearth. Help us to support projects to rebuild classrooms in the Solukhumbu and help Nepal’s children of today become the leaders of tomorrow.